" This game finished 0-0 against Woodside Senior Secondary. We had 10 men (no teacher as usual) but the boy kneeling in front of me was allowed to play for us to make the full sides. 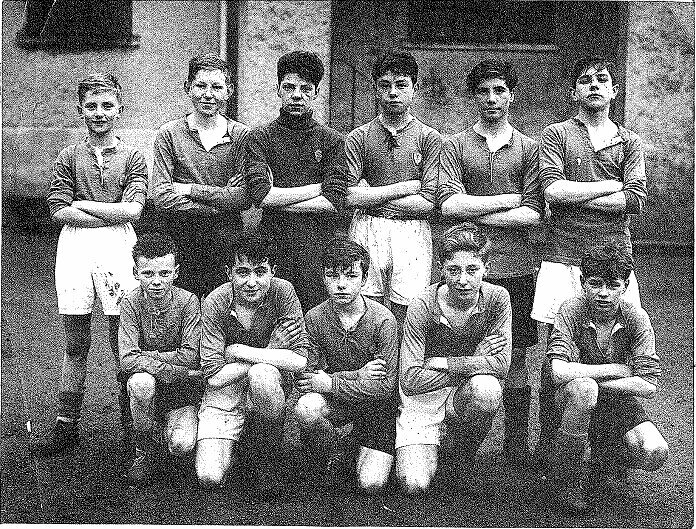 I know the names of the 2 boys in the back row but can’t remember the order." Oct 2009. Gordon Clark , Saltcoats, Scotland. Please find attached some school photos. I attended Newlands Primary and Riverside Secondary School. I would appreciate if you could post them on your website and invite any readers to complete the missing names. I have only just started with computers and my son in law has helped me send you this e-mail.